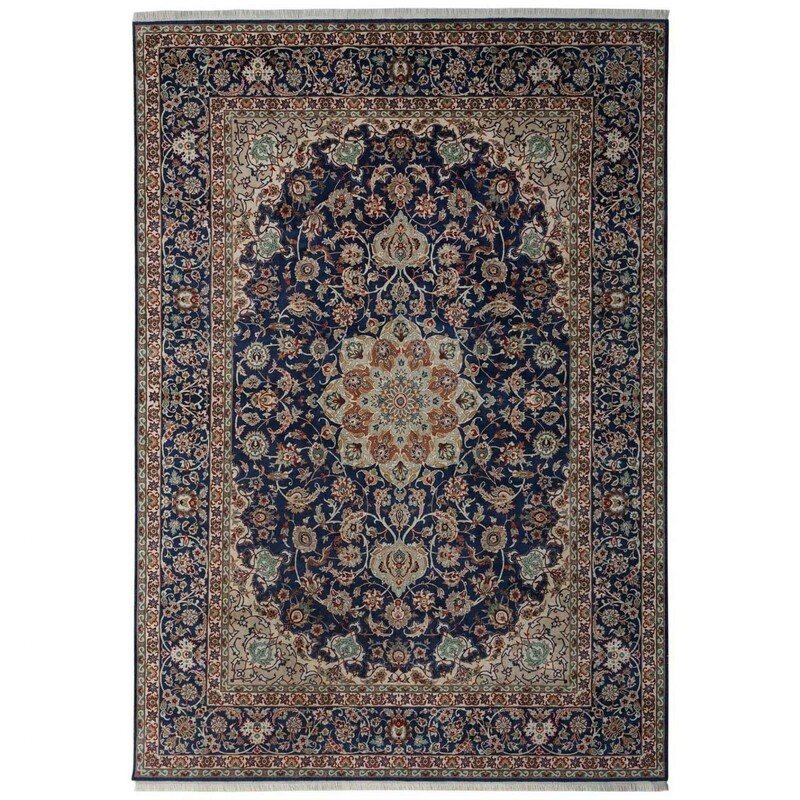 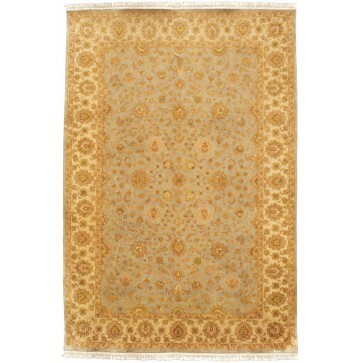 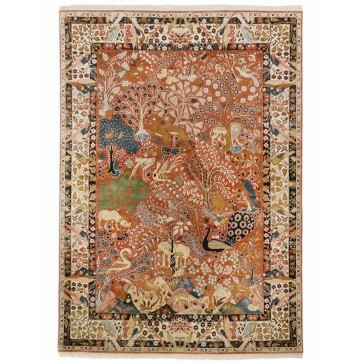 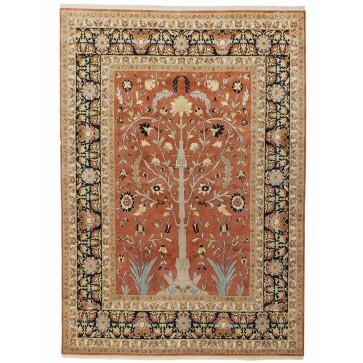 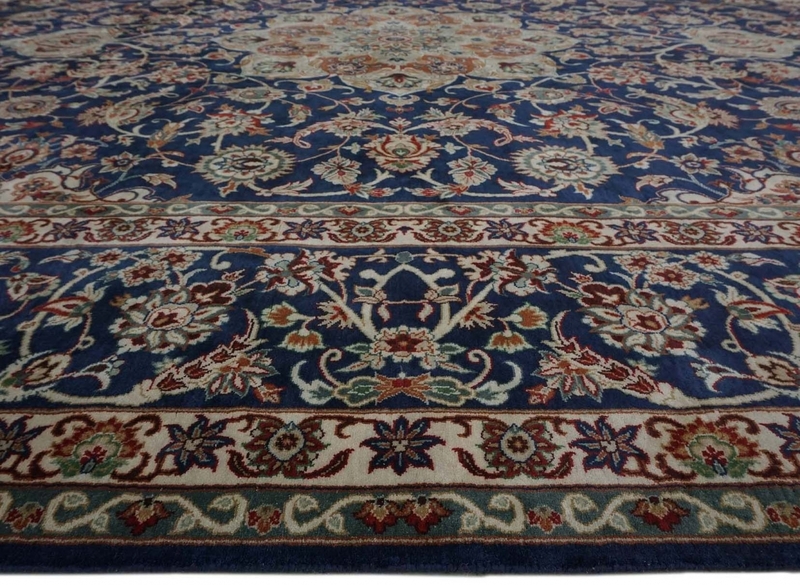 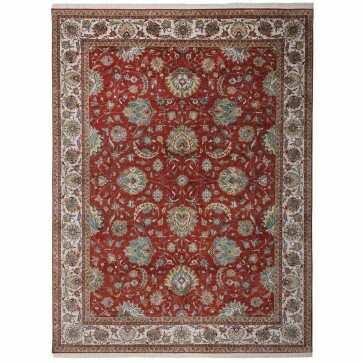 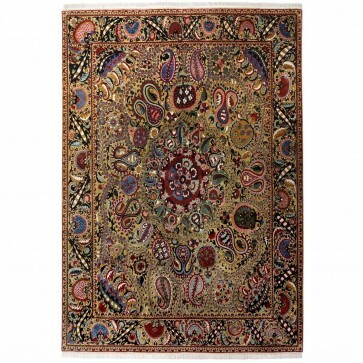 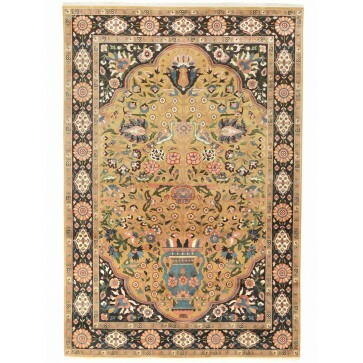 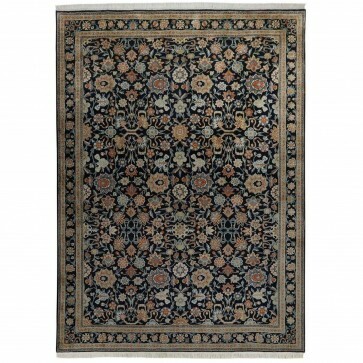 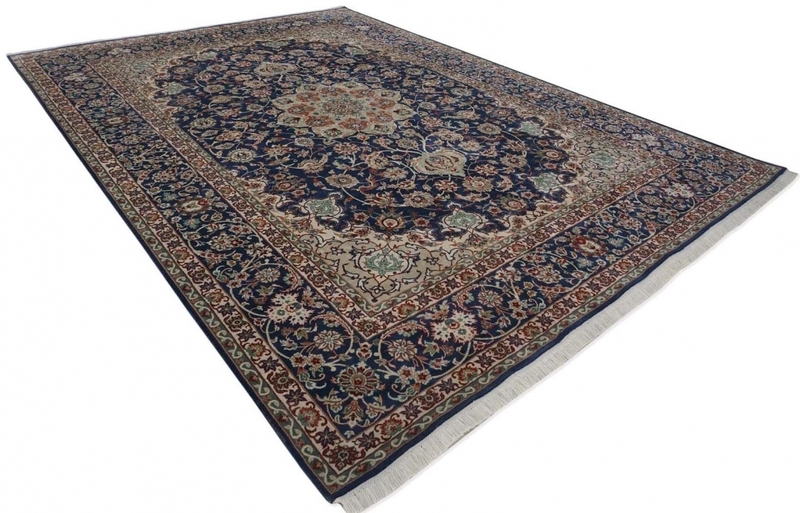 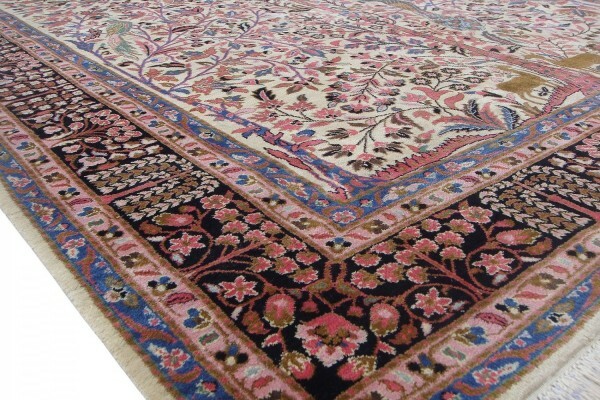 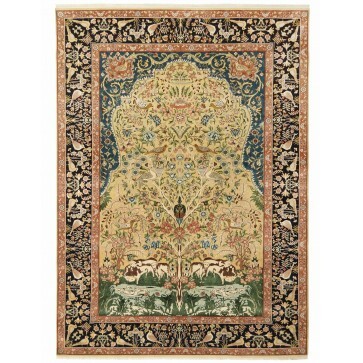 A fine Kashan design carpet with pure silk pile hand woven on a cotton foundation to 256 knots per square inch. 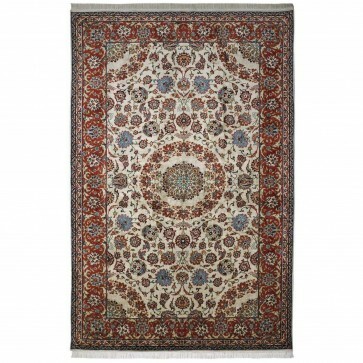 A fine Kashan design carpet with pure silk pile hand woven on a cotton foundation to 256 knots per square inch. 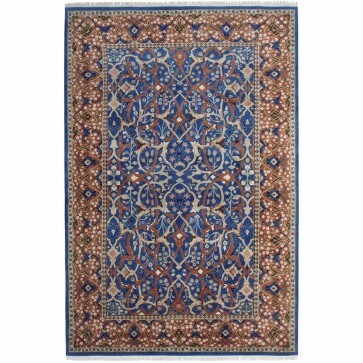 After an original in our archives, the design features an intricate eight point lobed central medallion with hanging lamp pendants, set on an indigo field decorated with stylized blossoms, serrated leaves and leafy tendrils. 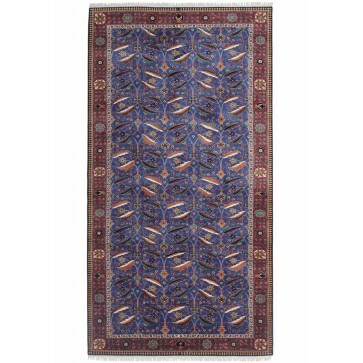 Framed with an indigo border.